A misterious event made a boy shrink and now this boy is running to find someone to help him. 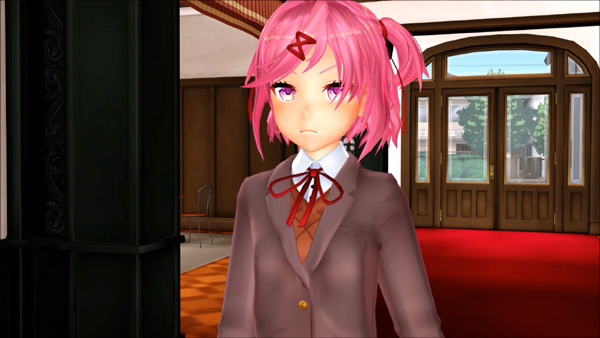 He decides to enter on a random house to ask for help, he enters on Natsuki`s house but because he is so tiny, Natsuki will not see him and she will accidentally crush him. The animation has 3 versions. The first version, Natsuki will think the tiny boy is a bug and she will crush him before he can escape. 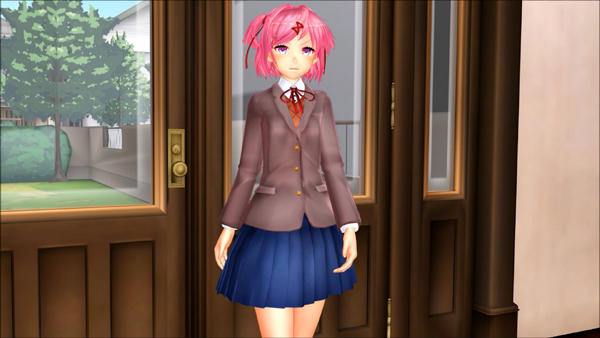 The second version, Natsuki will step on the tiny boy unaware, and the tiny boy will be stuck on her feet while she walks on her house. He will be crushed occasionally after some time, this version has few blood as requested by the supporter. The thid version is exactly the same as the second version, but I added blood and you can see the tiny boy exploding under Natuski`s feet.